Few destinations in the world can match Cairns for the variety of amazing activities on offer. Our friendly reception staff are perfectly placed to help you with planning your holiday. In fact, we can have all your excursions booked for you before you even arrive. 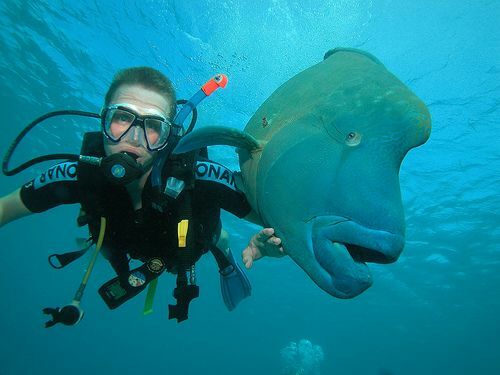 Ultimate reef experience – No holiday to Cairns is complete without a trip out to the Great Barrier Reef. The tour we recommend offers first class service and a friendly Aussie touch. Its luxury high-speed 20m catamaran goes to two stunning locations – Upolu Cay and “Wonder Wall” on the outer edge of Upolu Reef. You’ll enjoy a personal reef experience including six hours at the reef, a glass bottom boat, snorkel tours and great food. A truly memorable experience. Make an inquiry. The Daintree National Park is a World Heritage-listed rainforest that is home to a large variety of plant and animal life, including 13 species of bird that are found nowhere else in the world. The Daintree Tour features a visit to Daintree Village, the Daintree River, Mossman Gorge and Hartley’s Crocodile Adventures. Or, you can take the Cape Tribulation Tour that takes you deep into the Daintree National Park to view the world’s oldest rainforest, Cape Tribulation Beach and the Daintree Discovery Centre. Includes an excellent lunch, morning and afternoon teas, transfers and an expert driver /guide. Make an inquiry. Sky’s the limit – Let our recommended helicopter tour take you on an unforgettable journey. 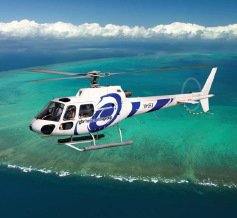 The sky’s the limit with a range of reef and rainforest scenic flights tailored for all travellers. Take the deluxe option and fly to the Great Barrier Reef to one of the reef platforms, or perhaps you would prefer to enjoy an intimate breakfast on a coral sand cay. Make an inquiry. Full-day cruise – Discover the real Great Barrier Reef on a full-day cruise. Departs daily and allows you between 4 to 5 hours at the reef. Includes high-speed catamaran ride, snorkelling (all equipment provided), guided coral viewing from a glass-bottom boat, fish feeding and a sumptuous lunch. Other options include introductory and certified scuba diving, plus a guided snorkelling tour with a marine naturalist. Make an inquiry. 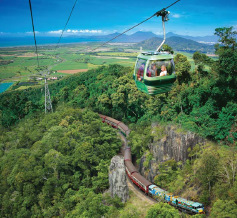 Kuranda Skyrail & Scenic Rail – Soak up the beauty of the rainforest with a Skyrail experience. Stop at Red Peak and Barron Falls stations and learn more about this amazing eco-system at the CSIRO Interpretive Centre. Then explore beautiful Kuranda village and its colourful heritage markets. Return to Cairns aboard the historic Kuranda Scenic Rail. Make an inquiry. Adventure Plus – If you are into history, botany, adventure and four wheel driving, then this is the trip for you. Travel one of Australia’s most scenic coastal drives through the Daintree National Park as you traverse the famous Bloomfield Track. Cross mountain ranges and rivers and enjoy lunch at the old Lions Den bush pub. Make the journey home from Cooktown via a scenic flight along the spectacular Daintree Coast and Great Barrier Reef. Make an inquiry. 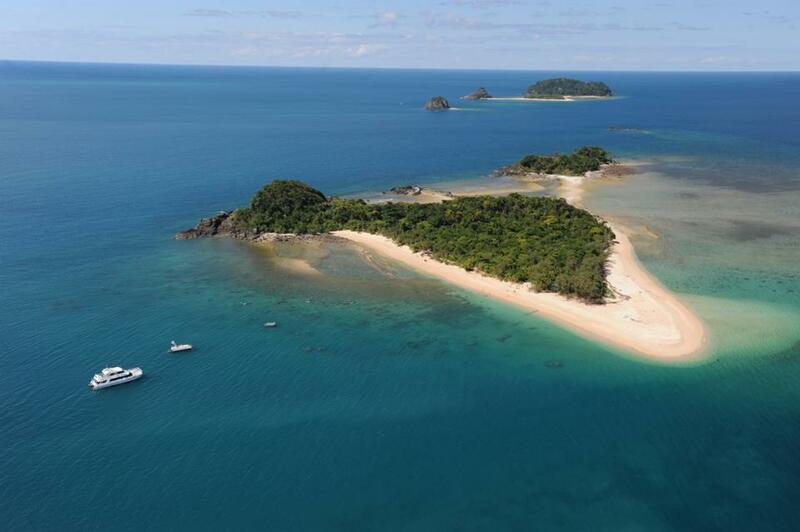 Frankland Islands – Snorkel, dive and explore this uninhabited island in a small group of no more than 99 guests. Enjoy a river cruise as well as the abundance of coral and marine life. Includes snorkel gear, guided snorkel, semi-submersible tour, guided island walk, tropical barbecue lunch and morning and afternoon tea. Make an inquiry. 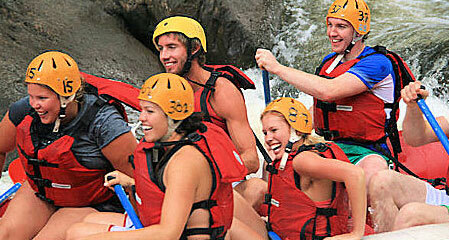 White water rafting – Adventure seekers will love the full-day Russell River tour. Includes a guided rainforest walk, three hours of rafting in grade 4 rapids, morning tea, lunch and transfers. A half-day tour takes rafters to the beautiful Barron Gorge. Includes two hours of rafting on grade 3 rapids, plus transfers. A super-fun activity that will have your heart pumping. Sky diving – Cairns is an ideal spot to skydive – not only for its beach landings and gorgeous scenery, but also because the warm climate allows sky divers to jump all year round. 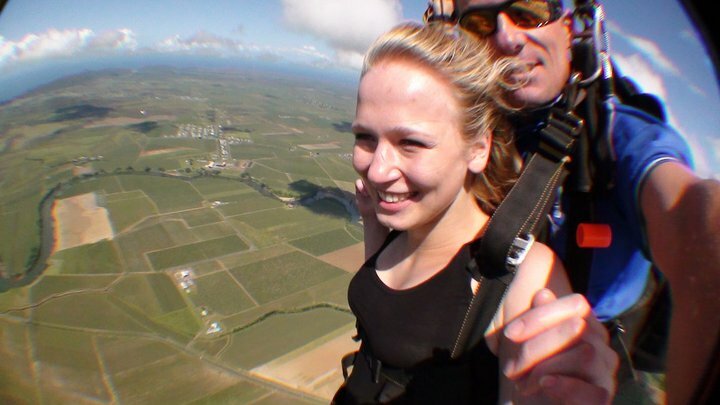 Experience the ultimate tandem skydive while enjoying views over Mission Beach, Dunk Island and the Great Barrier Reef. Outdoor Freedom – Horse riding – What better way to experience the Aussie bush and rainforest than on horseback? Rides cater for both beginner and experienced riders. 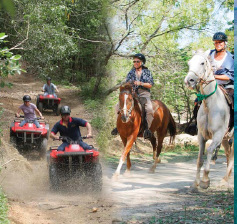 All Terrain Vehicles – Fun for all the family, ATVs are a great way of exploring the rainforest trails. This activity promises as much fun as you can handle.